Kicking the habit of a lifetime can seem near impossible, but for smokers there’s a great solution. 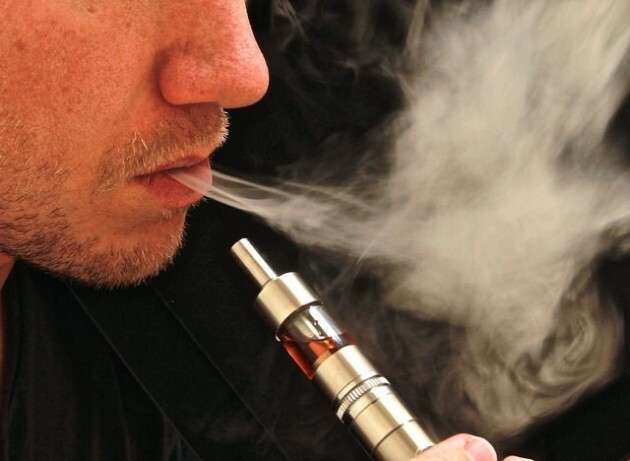 E-cigs provide that nicotine fix without the myriad of health issues. We’ve put together this guide on some of the best reasons to switch to this safer (and more fashionable) alternative! A heavy smoker could be spending thousands of dollars every year on their unhealthy habit. The cost of cigarettes is also estimated to continue rising due to taxes and tobacco costs. In comparison, e-cigs aren’t subject to tax and they’re expected to go down in price as the technology becomes more mainstream. Once you’ve made the investment, you could be making a hefty saving – anywhere up to 50% less than your current spending. Cigarettes are loaded with tobacco, which is proven to damage many of the organs causing a range of issues from lung cancer to heart disease and Alzheimer’s. As e-cigs only include nicotine, you’ll avoid those nasty chemicals and carcinogens. In fact, studies have shown that e-cigs have no adverse implications on heart health, do not stiffen arteries and have no effect on coronary circulation. That’s great news for your wellbeing and should keep you fit long into your senior years. With the winter fast approaching, many smokers have to brave the cold and wet weather to enjoy a cigarette. Vapers on the other hand, can smoke anywhere at any time. The odourless vapour doesn’t cause any offense and you won’t be needing an ash tray. Second hand smoke can be very harmful for those exposed to it on a daily basis. Avoid inflicting your habit on others by vaping instead. It has now been proven that e-cigs are not harmful to other people in the vicinity with the vapour dissipating after 11 seconds. Aside from the overwhelming health issues, cigarette smoke lingers in everything from your hair to your clothes and your home. Frequent smokers may no longer notice this stale scent, but family and friends certainly will. Once you’ve made the switch to e-cigs you’ll no longer have to worry about odours. E-liquids come in a choice of nicotine strengths with a scale ranging from 1 – 10. This gives you the power to choose the dosage depending on your requirements. Those looking to quit altogether can gradually reduce their nicotine intake before kicking the habit once and for all. These incremental steps make it much easier to quit than trying to go cold turkey. With so many benefits, it could be time to make the switch. You’ll even be able to choose from a variety of flavours including menthol, cherry or mint. Try them for yourself and you might find it easier to quit smoking than you thought. Images by Ecig Click and Tax Credits used under Creative Commons license.